Transformation Is All About Possibilities! The Gentle Life is all about the neglected art of becoming and remaining a Gentle Person in ungentle times. I started writing this book when I realized that many concepts, rituals, and habits relating to what used to be known as “gentlemanly conduct” had been not only forgotten, but effectively reversed in contemporary life. Consider: Not so very long ago, it was considered unacceptable to swear in most social settings, to use public spaces as though no one else were around, to share intimate personal details with total strangers, and to take phone calls during dinner or other important family times. These broad behavioral guidelines certainly weren’t the exclusive property of the upper classes. There was a sense, shared by a large portion of the population, that violating them undercut society as a whole. Neglecting these norms was considered a breach, not just of etiquette, but of the basic standards that define civil behavior and enrich life in both the public and private spheres. Put simply, ignoring these standards represented a failure of personal potential. I believe that most of us back then, in our better moments at least, liked to think of ourselves as “ladies and gentlemen” (for lack of a better expression). In other words, we liked to think of ourselves as people who knew better than to use profanity when giving a speech or presentation, or have loud conversations on crowded buses and subways, or mention our medical problems to someone we just met at a party, or stare at a screen with zombie eyes instead of socializing with family members at mealtime. Even if we weren’t “ladies and gentlemen” in any technical sense, we could certainly aspire to that standard. The impulse to live up to that standard was, I believe, an important part of being a well-adjusted family member, a productive citizen, and, indeed, a human being others felt glad to share the planet with. It doesn’t take much research to conclude that too many of our social interactions today seem to be driven by a very different impulse. This book exists for the reason that our current tendency toward crassness, self-absorption, de-personalization, and a basic lack of respect for others seems so well established that we now live in a totally different world than the one I grew up in. In this world, navigating social life too often seems like a chore, like an endless invitation to stress, miscommunication, and conflict. Although I’m not by any means the final authority on such things, I do remember a different way of living, and I know in my heart that living that way need not be difficult, even in the twenty-first century. 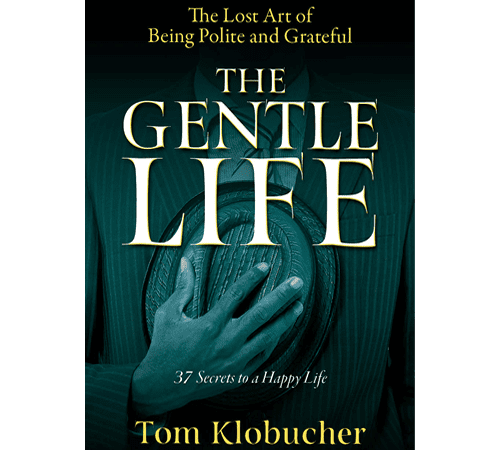 In these pages, I’ve identified several dozen very simple ways that each of us can find our way back to the standard I call the gentle life—and reap the many benefits that come with it. In what follows, I’ve opted to use the phrase “gentle person” over “ladies and gentlemen” for two reasons. First and foremost, because too much of modern life is the opposite of gentle, and a reminder about that fact can’t hurt anyone. And second, because “gentle person” seems to capture the equitable gender relations standard of the twenty-first century better than “ladies and gentlemen” could. In looking back at my own life, I realize that there were certain expectations people had of ladies and gentlemen, and that was a good thing. Ladies and gentlemen adopted standards of behavior that instantly set them apart from people who weren't interested in the welfare of others or of society as a whole. Among the ladies and gentlemen who surrounded me as I grew up, there was a willingness to observe, at all times, consistent standards of courtesy, respect, interest in others, and above all, a sense of common decency in public discourse—regardless of the social class one occupied. I believe we now live in an era when even speaking about the importance of observing such values runs the risk of inviting ridicule. I welcome that risk, and I wrote this book in the hope that you are willing to welcome it too. So here is the central concept of this book: The responsibility for identifying and living up to clear norms of gentle (as opposed to crass and disrespectful) behavior within one's family, within one's neighborhood, within one's larger community, and within one's nation, is more essential now than it has ever been—and it falls on each of us. With that responsibility in mind, you will find here the specific behaviors that seem to me most essential for all of us eager to reclaim a gentle mode of life, in our own lives and in the larger society. This book outlines what I believe to be the essentials of the gentle life. I hope you find them helpful and useful, and I hope you will join me in using them to create a kinder, more decent, and more civil world for everyone.